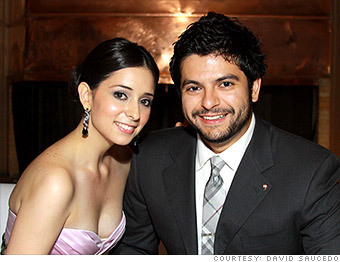 Five couples reveal the worst financial mistakes they've made and what they've learned. After almost five years of working as a tax accountant, David Saucedo had succumbed to major "corporate burnout." He quit his job, opting instead to work for the family locksmithing business. While he was thrilled to be out of corporate America, his decision also meant a major salary cut -- and limiting the financial options for him and his soon-to-be wife. "I put my happiness above the financial stability that I could have brought into the marriage," he said. "So right now, things are a little tough." Combined with a recent car loan his fiancee took out, his new salary has made the couple's goal to qualify for a mortgage more difficult than they had expected. While Saucedo said he doesn't regret his decision, he wishes he had timed his move a bit differently. "In hindsight, I should have closed on a house with my old job," he said. "I just wasn't thinking clearly."